One of the greatest difficulties in business has been and may always be, maintaining a good level of communication. This is especially true for the people you rely on to make your business function from day to day. It goes without saying that the most numerous employees will be junior and or regular staff that are the individuals making things happen at ground level. Here is where the most action takes place, but the most difficult decisions take place higher. As the business owner and leader, it’s your job to keep your workers functioning at a consistent level, getting everyone to pitch in and do their best. However, you’re only one person, and cannot reach out to every single person every day. Your managers are essentially your long arm strength. These people are the ones you trust to make sure your decisions are implemented and carried out as and when ordered. If your managers aren’t in the know and aligned with the company’s direction, this can lead to fallout and massive disruption. Keeping them abreast and knowledgeable should be a part of your modus operandi. Every week businesses around the world, conduct meetings with employees and superiors. Whether it be in the boardroom, or at the managerial level everyone in the business must be updated and give updates too. Generally, managerial meetings take place after the boardroom meetings whereby executives, partners and stakeholders discuss how various parts of the business are progressing. One way to be ready for the meeting with the managers is to be clued up on all aspects of the business that are divulged to each section and or department. Another way to be planted in this meeting is to know what you require of each manager even before the week has started. This could be things that aren’t even related to the general proceedings of the day and or week. It may be just to get employee holiday paperwork in on time, or discussing sick pay for those who are off work will an illness. The key to keeping your managers abreast is to inform them when you’re ready. All too often leaders just want to get the show rolling and show managers that they are competent enough to lead them and not be hesitant. Unless you have a clear picture of how things are going at ground level, don’t give out orders as this will result in a wastage of time. Every business has an advanced software interface that employees utilize to remain in the business mainframe. Using their company accounts, managers can sign in to access memos and statistics in their department. Anything from orders, sales, work history, task allocation, reports, and updates are all accessed via the managerial interface. However, the process of signing up and re-signing in are the most fraught moments in this procedure. 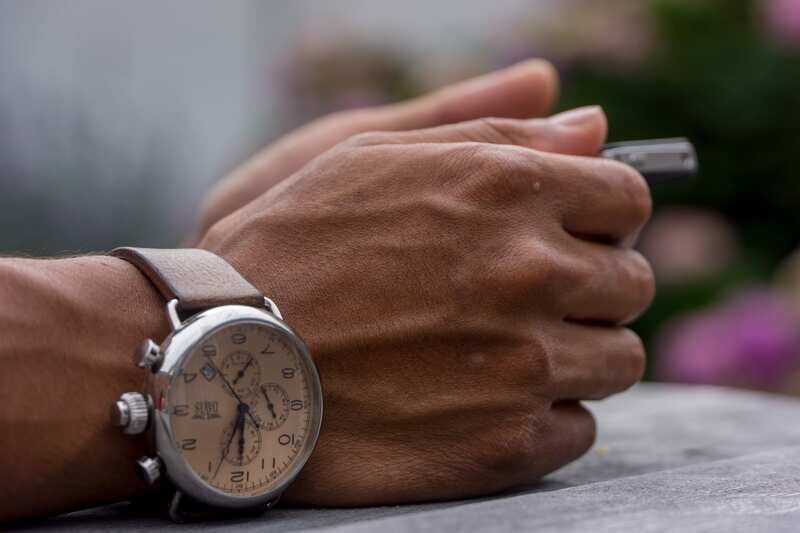 For security purposes use two-factor authentication with plivo’s sms api. 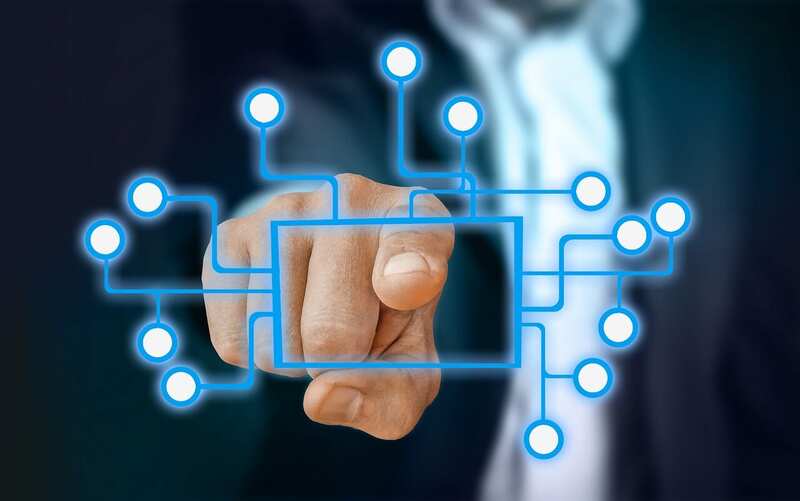 When a manager is first signing in to his or her account, proper verification of who they are must be made not just for security purposes, but to officially have them on record on the servers. If a manager somehow forgets or loses their account information, when resetting a password or changing a username, must also be met with the same level of integrity testing. This can lead to a cohesive backroom of your business, whereby only those permitted are allowed access to sensitive information, which protects your business from wannabe saboteurs. When work is being allocated, and in the process of completion, things can often change. 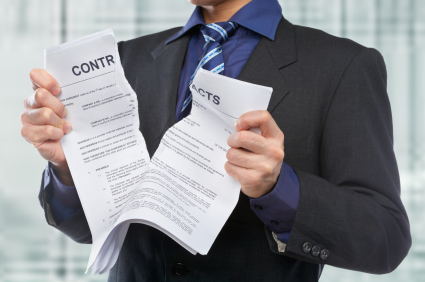 It may be because an order has to be altered or cancelled, an error that has been carried over from another department, or simply because the client changed their mind. Managers must communicate with other not just in the interface, but face to face also. When something needs to be changed, it’s all well and good to do so digitally through software because it’s the fastest and easiest form of relaying alterations. However, there is always a culture of rivalry and sometimes egos to play a part. If used properly these are actually great traits to have because it allows your employees to feed off of each other’s energy. However, there should be no such room for invisible territorial lines. Every manager no matter what department must feel welcome in other sections of the business, and if something needs to be discussed in person, this should be encouraged. Keeping managers abreast of developing situations is the key to aligning your orders with employees. Not only must they be working in tandem in the business online interface, but communicating in person too. When evaluating an organization’s culture, it is important to understand that variations likely exist vertically among personnel levels and horizontally across divisions, departments, and workgroups. Consequently, it’s important to establish the degree of alignment between the various organizational levels and business units to the cultural characteristics being evaluated in order to fully understand the cultural adaptation and adherence within the organization. Don’t need a subscription? Buy access to Organizational Accountability – Evaluating Organizational Culture, part 3 for just $2! At first glance, warning against taking care of one’s employees appears contradictory to what most would believe is an important function of every manager. Context is important here. Too often, managers ‘take care of their employees’ during the performance review process. IT bought some software and needs to install it, so let’s look at the current process first. A department wants to improve the process because it would help in a key initiative. An ‘easy’ process is chosen to start on. 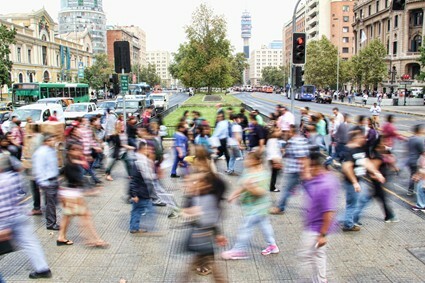 But after a number of processes are selected with this ‘whoever is interested’ approach, leaders and process Improvement practitioners see that it would make sense to select processes that are underperforming, would provide increases in market share and revenue, or would directly support key strategic initiatives. In order to do that, you need to have an understanding of core process in the company now. A Macro Map can help. In this example, the core processes (ones that produce the key outputs of the organization) are highlighted in one section, support processes in another section, and customers in the third section. How do you Build a Macro Map? I suggest starting with a small group of executives/managers who know the work of the department or division. (If you are doing this for the whole enterprise, you will need to build it by groups and then form the total picture, making sure to show the cross functional processes.) Build the first draft of the macro map with them, and then take it to staff and have them verify it and add to it. Below are some specifics to help you with the method. Begin with listing the customers – the people who receive or use the output. Then list the core products or services delivered by the department. Now identify the processes that produce the core products. Then identify the processes that support the delivery of the core products. Examples of these could be planning, scheduling staff, research, securing resources. Then take the map in graphic form to a representative staff group. Explain how you built the first draft of the map with the managers, and what its components are. Start with the core processes and ask them if anything is missing or needs revision. Then go to the support processes. Ask them if they can see the components of their job in different place on the Macro Map. What components of their job are missing? Keep adding and revising the map as suggestions are made. Add quantitative data to the Macro Map. The Macro Map below is the same one as shown at the top, but now it has data showing number of hours worked on each process and the customer satisfaction ranking. It is obvious which ones demand the most employee time. And for this organization, where the goal was to streamline processes, reduce workload, and not hire additional employees, it was obvious which ones to work on first. Some organizations create a Business Architecture graphic to show how business strategy, functions, processes, technology and data relate. The Macro Map is simpler than that and focuses on processes and customers. When you add baseline data to a Macro Map, you visualize the criteria that the organization has chosen to use to prioritize their projects. 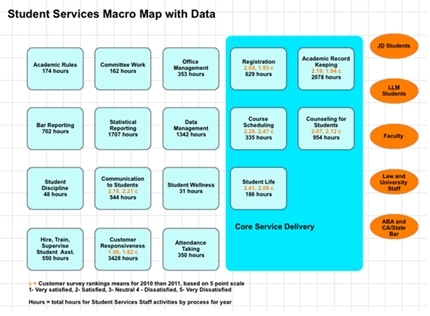 In the example for Student Services it was employee hours and customer ratings. Those might now have been my choice, but the organization had these metrics and they worked fine. When doing the first Macro Maps I like to keep the measurement simple – not requiring weeks to gather. Other measurement criteria could include costs, throughput, comparisons against competitors, variability, market share, risk, or alignment with the strategy. 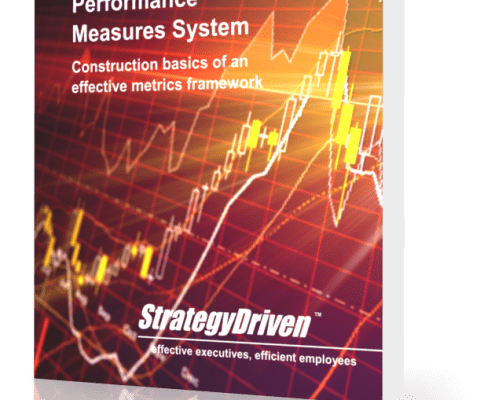 Quantitative measurement values point to the top three to five processes, but leaders need to consider some other parameters – namely time to complete, complexity, cost, etc. that could influence the choice of one project or another. 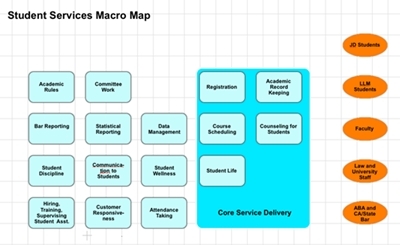 The macro map is a wonderful info graphic to display and categorize all the processes. It also gets executives and employees engaged in thinking about the big picture by process, and helps each one relate it to their own work. And it doesn’t take that long to build. Try it! Co-authors Nathan Ives, StrategyDriven Principal and Scot Park, Artower Principal, released a new white paper on organizational alignment and performance improvement for the healthcare industry. The paper describes how best practices in measuring organizational performance in the nuclear power industry can be applied to healthcare providers facing the daunting challenge of concurrently increasing production, efficiency, and quality – all while reducing operating costs. The Value-Based Performance Improvement Model© is an affordable approach that healthcare providers can use to develop a Lean Six Sigma style performance measurement system. StrategyDriven recently formalized an alliance with Artower Advisory Services to deliver Value-Based Performance Improvement services to healthcare providers and are looking forward to helping these organizations realize the critically important economic benefits created through the use of this new performance improvement model. 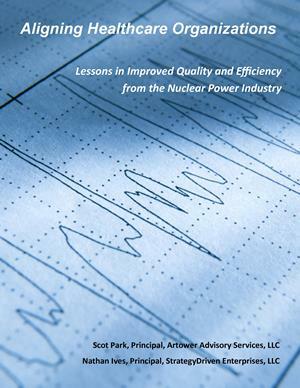 Download a copy of Aligning Healthcare Organizations: Lessons in improved Quality and Efficiency from the Nuclear Power Industry by clicking here. Scot Park is a Principal and co-founder of Artower Advisory Services. He has spent the past two decades serving the Healthcare Industry with a focused on Aging Services, Senior Housing and Post-Acute/Long-Term Care. Scot holds a BA in Economics with concentrated studies in Public Administration from John Carroll University. To read Scot’s complete biography, click here.